Are you looking for a way to upgrade your vacation, but you want something simple and easy to use so you can spend more time enjoying yourself and less time setting up at the campsite? 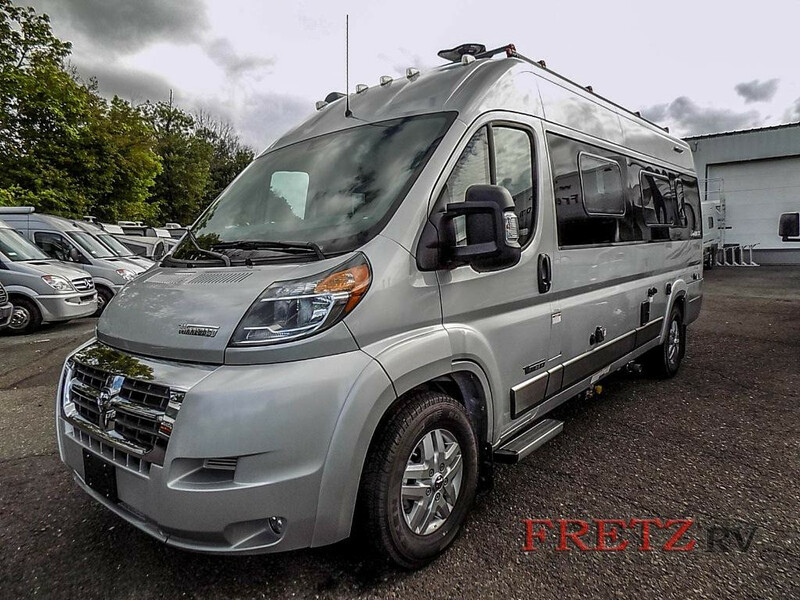 Check out this Winnebago Travato class B motorhome for sale at Fretz RV! This beautiful camper-van is the perfect solution for the couple who is hungry for adventure but likes to keep things simple. Let’s see what more there is to love in this Winnebago Travato class B motorhome review. 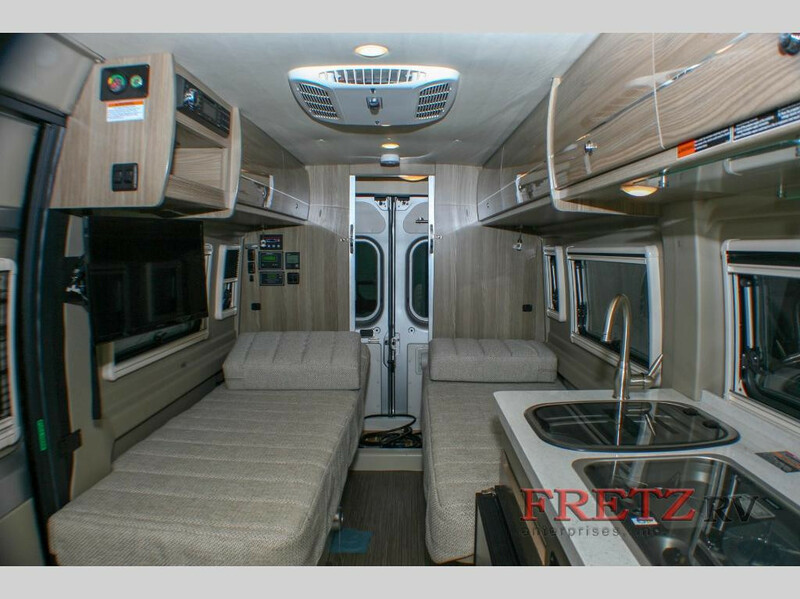 Find more class B motorhomes for sale at Fretz RV. This Winnebago features two twin beds that can be combined into a single, full-size, using the Flex Bed system so that you can customize the bed for your sleeping preferences. In the main living area, you will also find a 24″ HDTV, so you can catch the game after a long day at the lake, or keep up with your favorite shows wherever you go. In the back of the camper, you’ll find a full wet bath with toilet, shower, and sink. Comfortable living on the road! In a camper-van, having multi-use amenities is a game changer! 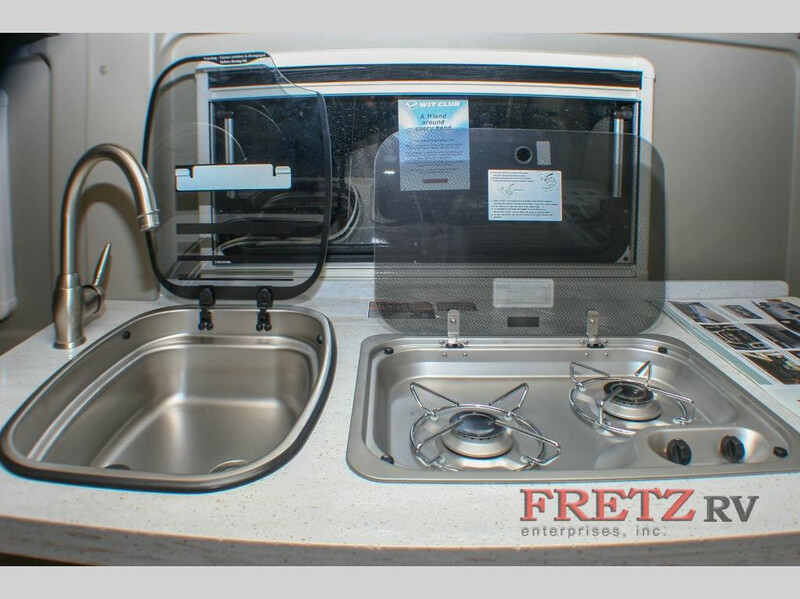 The kitchen in this motorhome features glass covers on the 2-burner range and stainless steel sink, so you can customize the amount of counter space you need when cooking. This model also features the Pure3 Energy System, so you can have power no matter where you park! You’ll love having the extra counter space while you work! The chassis in this Winnebago Travato is a Ram ProMaster with a 280-HP, 3.6L V6 gas engine, so you can enjoy fuel efficiency without sacrificing power. In addition to the Pure3 Energy Management System, there are 200-watt solar panels, so you are more than ready for off-grid camping. This combination of power sources allows you to run the AC and appliances without needing a hookup for the night! If you are ready to make your next vacation doing what you love, then this camper-van is the perfect motorhome for you! Contact us today, and start exploring in comfort and simplicity!